A pile of abandoned rubbish has cost a man almost £300. Scott Thompson failed to attend a meeting with council chiefs after he was found responsible for dumping rubbish in a field in Boldon Colliery. The 27-year-old, from Arnold Street, Boldon, had been invited to speak with officers, but ignored all notices. It led to him committing an offence under section 110 of the Environment Act. 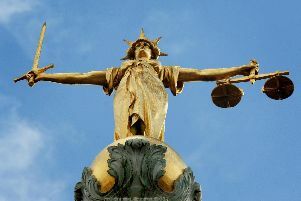 He was fined £108 by magistrates and ordered to pay costs of £160 and a victim surcharge of £30. A spokesman for the council said: “Fly-tipping is irresponsible and unacceptable. It blights the beauty of our communities and can make life miserable for those living nearby. New legislation brought in earlier this year now allows council officials to issue on-the-spot fines of between £150 and £400 to people caught in low-level fly-tipping. Those convicted of illegally-abandoning waste risk a maximum fine of £50,000 and/or up to 12 months in prison. If convicted at Crown Court, an unlimited fine and/or up to five years in prison are the potential sentences. For further information about the many ways waste can be safely responsibly disposed of in South Tyneside, visit www.southtyneside.gov.uk/wasteandrecycling.